Nowadays teachers and students have a variety of ways to show what they know and to express themselves. Let's take a look at some of the hottest free tech tools for showing, explaining, and retelling. In fact, these tools can turn students into teachers and teachers into super-teachers! 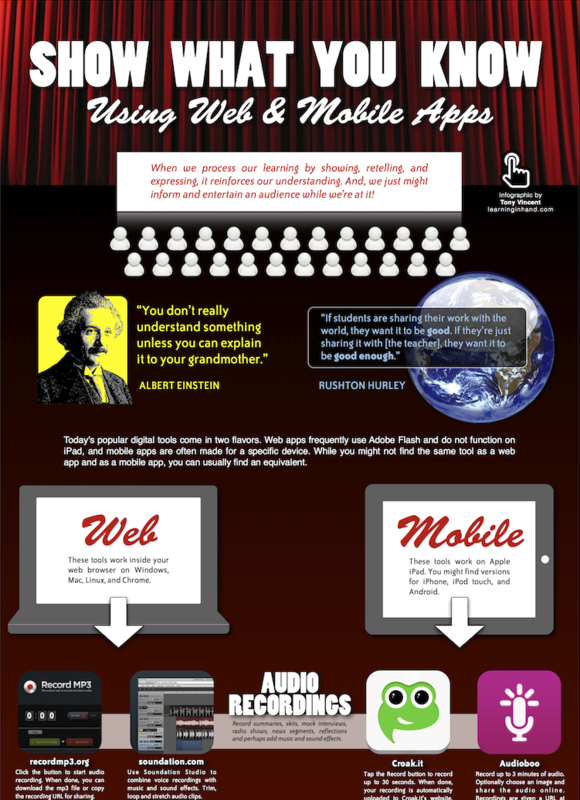 Whether you're using a laptop or an iPad, You'll get hands-on time to craft collages, audio recordings, trading cards, screencasts, animations, comics, and online books. 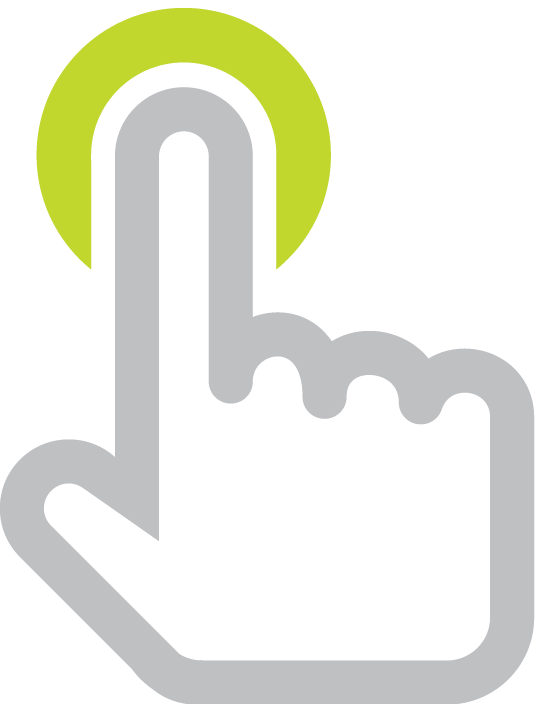 Web-based tools and iPad apps will be presented side-by-side so that you can learn about what students can produce, no matter which technology they are using. We'll explore websites like pic monkey.com, pixton.com, and blabberize.com. We'll use apps like Pic Collage, 30hands, and Funny Movie Maker. The workshops will address both web-based tools for laptops and apps for iPads. Please bring a laptop, an iPad, or both. If you are bringing a laptop, please be sure you have the latest updates to Flash and Java, and install Google Chrome if possible. If you are bringing an iPad, please update your apps before coming to the workshop. Also, install the free apps in the box below. Open this page on your iPad and click each app's View button to be taken to the App Store where you can download the app. 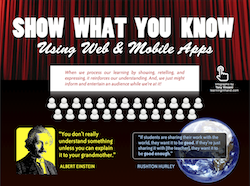 Click to see the clickable PDF with 20 web apps and 20 iPad apps for Showing What You Know. 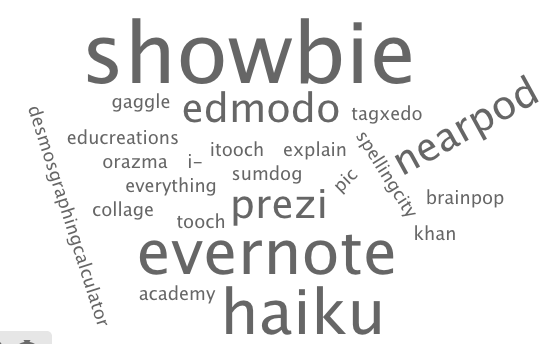 Here's the word cloud we generated from our favorite apps.